Gorgias Press Annual Holiday Sale On Now! In the 1960’s the members of an Assyrian intelligentsia team known as the Assyrian Youth Cultural Society of Tehran (or Seeta Saapreta for short), began an ideological revolution whose fruits of labor are only now becoming evident some 40 years later. 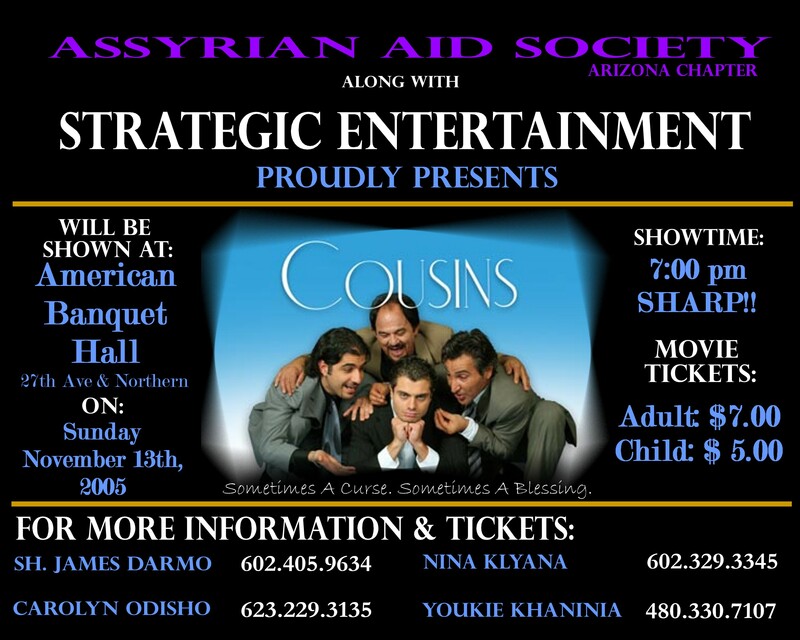 In 1968 members of this daring organization established the most powerful Assyrian political organization, the Assyrian Universal Alliance (click here). Nearly all important political parties since then have had their inception from within this organization. 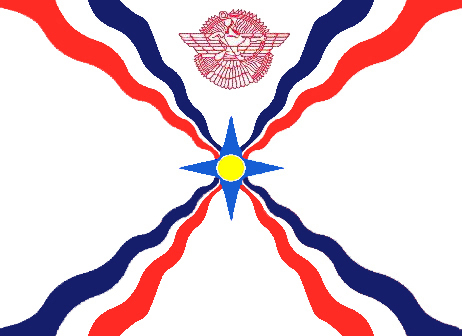 The AUA proselytized the ideology of an Assyrian territorial and political identity, plans to increase and centralize the population of all Syriac-speaking groups in a territory it defined as “Assyria”, and proposed the formation of a parliamentary structure to include all active political parties, federations, and even patriarchs of every denomination. This “Golden Ideology” was politically ingenious (click here), hence an obstacle for the insecure religious figures within the Assyrian churches and the government in Baghdad who saw any political or cultural success as a barrier to their control of the masses. Between 1970 and 1975 Assyrians in Iran assisted the government in Tehran in transporting humanitarian and military provisions to the Kurdish and Assyrian people in northern Iraq. While Assyrians may have driven a few trucks of food for their fighters and villages each month, Iranian personnel moved hundreds of trucks through the Iranian-Iraqi border to sustain the Kurdish populations. In Iraq, such notable Assyrians as Fransu Hariri, Gewargis Malik Cheko, Hurmoz Malik Cheko, Margret George, Talia Sheeno, Ishaya Eshoo and many more continued to bravely fight on the side of the Kurdish resistance. The Shah of Iran was their messiah and emancipator, promising the Little Assyria some 2500 years after another Iranian Shah, Cyrus the Great, destroyed the city of Babylon. In this same time period discord and dissension among the bishops of the Church of the East was slowly threatening the future of the Church and the stability of the political influence exerted by the Assyrian Universal Alliance.. The issue at hand was the resignation of the patriarch, Mar Eshai Shimmun who married an Assyrian woman. A few young bishops sided with the Patriarch early on, later retracting their decision. In a letter dated 1 October 1972, Mar Dinkha IV, then a bishop, writes to Catholicos Patriarch Mar Eshai Shimmun from Beirut, recommending the consecration of young men as bishops without tribal affiliations. He then writes that bishops be allowed to eat meat and to marry. In 1973 a meeting of the bishops met in Beirut, Lebanon inside a Roman Catholic Monastery. The meeting was presided by the Metropolitan Yosip Khnanishu. The Metropolitan of India, Mar Timotheus and Ma Yausip Sargis, Bishop of Jilu were not present at this meeting. Mar Dinkha was among the bishops present. On 28 August 1973, Mar Yausip denounced the Patriarch’s marriage as a “foul act”, contrary to what was already communicated ten months earlier. Mar Eshai Shimmun in a letter dated 14 November 1973 accuses the older bishops in the Middle East of coveting the wealth built by His Holiness since his arrival in the U.S. in the 1940’s. “These men have achieved nothing and have nothing to show for the past forty years that they had the whole Church to their own and free to do whatever they wanted,” writes Mar Shimmun. By this time the bishops in Iraq and Lebanon had taken over the control of the Church and Mar Eshai Shimmun was left helpless. Even His Holiness’ resignation from his position as the Patriarch became a source of division and bewilderment. The Church was tearing apart. As the seat of Patriarchy in the San Francisco Bay Area was becoming less powerful, the AUA and the political identity of the Assyrian nation was increasing exponentially. This was not in the interest of the government in Baghdad, fighting the Kurds and the Assyrians in the north (prior to 1975). Baghdad then sought to end the hostilities in the North and once and for all put an end to the Assyrian resistance which began strongly after the 1933 Massacres of Semel. It targeted two sources of turmoil: the Patriarch and the AUA. With the signing of the Algiers Agreement in 1975 the Shah of Iran abandoned the Assyrians, and in turn the Assyrians in the north of Iraq were deserted. Baghdad had also planted the seeds of division in the Assyrian Church by using certain high-level Iraqi-Assyrians close to the bishops in Iraq and Lebanon to influence the bishops. The bishops turned against their Patriarch and questioned his authority and decision to marry. The issue of the marriage of the bishops was already decided in Baghdad; the hypocrisy of the bishops was unbearable for the Patriarch. By eliminating AUA and the Shah’s assistance for north Iraq, the government in Baghdad turned to the Patriarch and in November of 1975 His Holiness was assassinated in San Jose, California. Baghdad did not stop here. The blame had to be placed on the AUA and the Assyrian nationalists. Individuals close to the Patriarch were alleged to be members of the AUA or in close contact with this organization. The once optimistic leaders of AUA were now powerless and accused of the unthinkable. Yet in the most calamitous period of the Assyrian national leadership, the AUA deliberated the most imaginative plan to stabilize the situation. It helped promote the enthronement of the young bishop of Tehran to the position of the Patriarch. The young bishop in Tehran was not a part of the Baghdad conspiracy, was close to the politics of the AUA, and had tribal affiliation with the most powerful Kurdish chiefs, the Barzanies in the north. He was the most logical bridge between Tehran, North Iraq, and the legacy of the late Mar Eshai Shimmun in the U.S. Mar Dinkha was consecrated in 1976 in London, promising AUA detachment from the politics of his nation yet fully supporting the political will of his people (click here). In 1979 the Shah of Iran was deposed and the Golden Ideology instigated by the AUA in the 1960’s degenerated into a wishful thinking as quickly as its founders dispersed in the four corners of the world. The ideology now had to be kept alive by the young fighters in north Iraq who were abandoned between 1975 and 1979. 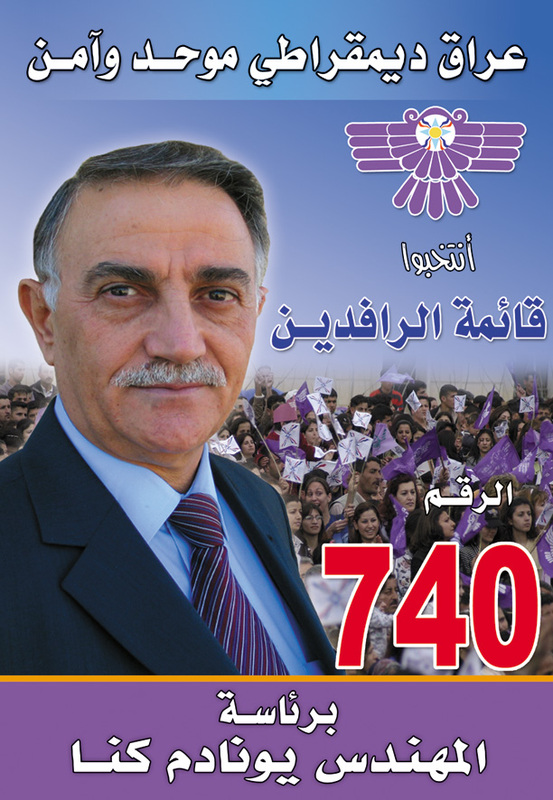 The notion of uniting all segments of the Assyrian nation and concentrating them in one “Assyrian” territory was taken up by the young fighters who in 1979 formed the Assyrian Democratic Movement (ADM or Zowaa). In the same year Saddam Hussein came to power in Iraq. 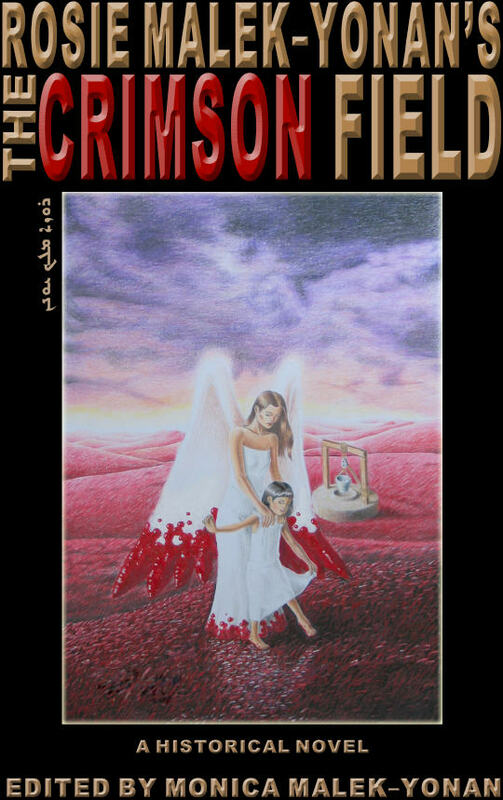 The war between Iran and Iraq between 1980 and 1988 which resulted in the death of over 40,000 Assyrians (click here) once again allowed the flow of supplies from Iran to Iraq. The ADM in 1985, after the arrest and execution of its top leaders and fighters in Iraq, moved its command and control center to the village of Sangar, outside of the city of Urmia in Iran. Mr. Yonadam Kanna and other founders of the AUA were now in charge of the second wave of the Assyrian resistance against the Baathists, commanding their forces from tactical positions in north Iraq and Urmia, where Yonadam and his family resided. In 1988, history was repeated. Iran and Iraq ended their war and Baghdad turned once again to the north. Saddam Hussein, during the Anfal Campaigns, destroyed thousands of the Kurdish and Assyrian villages. AUA was helpless, Iran reclusive, and the Church of the East detached. And then Saddam made the gravest error of his presidency by attacking the small kingdom of Kuwait in the south. The U.S. and the coalition forces used this opportunity to invigorate the resistance in the north which after two U.S. led invasions has finally reached its climax as two Kurdish leaders are currently in power in the north and in Baghdad. Between 1965 and 2005 the most pervasive directive followed by the AUA members has been the ultimate source of inspiration for the Assyrian nationalist movement that the Assyrians will create their own historical conditions and events and will not depend on conditions created by others. Early on, this also became the source of contention between the AUA and Zowaa. In fact there were two decisions made by Zowaa which moved the two Assyrian political entities further away, even though their mission continued to be in line with the Golden Ideology instituted in Pau, France (click here). Firstly, the AUA did not believe that the symbolic participation of the Assyrians in the Kurdish parliament in 1992 was sufficient. Assyrians had to fully be engaged in the decision-making process and the administration of the northern region, AUA told Yonadam Kanna and the central committee in closed meetings held in North America and in Europe shortly after the formation of the no-fly zones in Iraq. By 1992 the AUA’s status as an umbrella organization had been abandoned by all political parties. The AUA itself began joining the Assyrian conferences as a political party, even though its leaders insisted on its goal of collective representation. For all practical purposes the AUA was no more, yet its decision to help enthrone Mar Dinkha has now turned out to be the most important political move of the last four decades. 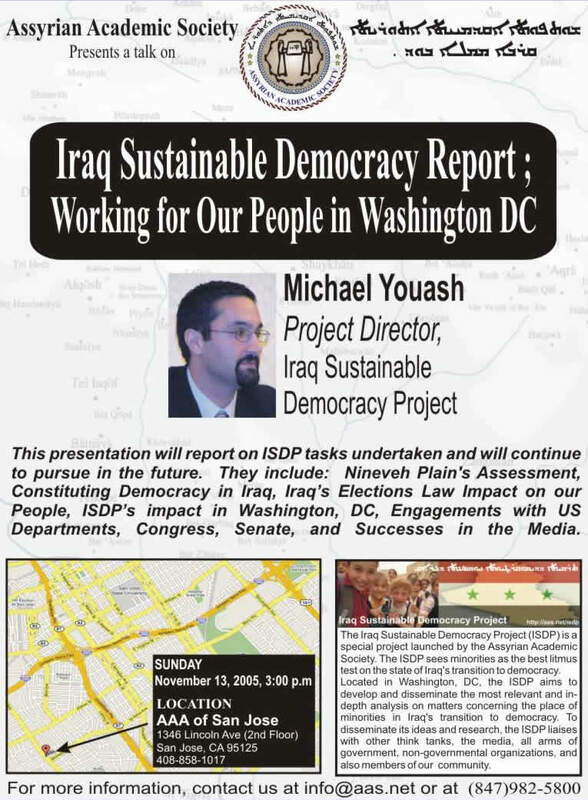 Mar Dinkha’s “Nochiya Connection” (click here) has resulted in the effusive role of the Assyrians in the central Kurdish government after the fall of Saddam Hussein. Secondly, ADM has been exploring the possibility of advancing the unity of the Assyrian nation by bringing the Assyrian, Chaldean, and Syriac churches closer. 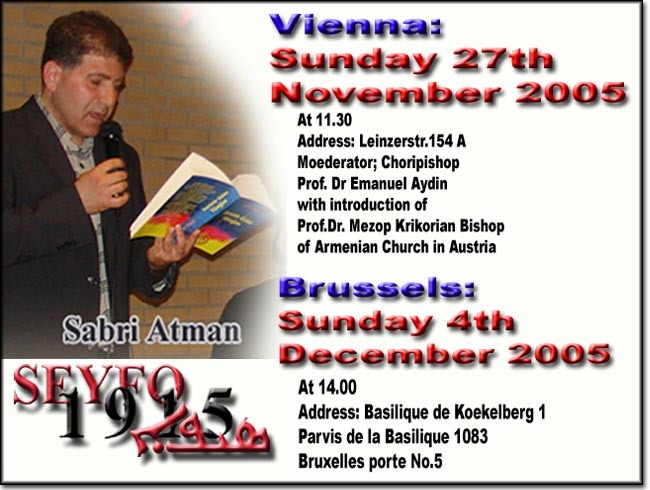 The “dashes and slashes” controversy in 2000 (click here), the rise to political power of Bishop Sarhad Jammo of the Chaldean Catholic Church, and the most controversial issue at hand in the Church of the East – that of the Bishop Mar Bawai Soro are the direct results of the ADM policy of giving full recognition to the “Chaldean” identity as equal shareholder in the future of the nation which now had to be called something other than “Assyrian”. Both Mar Dinkha and the AUA stood against this policy. Mr. Yonadam Kanna and his political party’s “Chaldo-Assyrian” policy (click here) failed because neither the Chaldean constituency was politically prepared for such a change, nor were their religious and civic leadership interested in the advancement of the Golden Ideology. Furthermore, a substantial portion of the Chaldeans in Iraq and in Detroit were content with an Arab Christian identity, which stood directly in conflict with the political identity promulgated by the Assyrians and the Kurds in the last 40 years. Two weeks ago, exactly 30 years after the assassination of Mar Eshai Shimmun a Synod of the bishops of the Assyrian Church of the East was held in Chicago, days after the meeting of the Patriarch and Mr. Masoud Barzani in Washington (click here). As in 30 years ago, the Bishop of Jilu did not attend this meeting. The young bishop who dared to contest his Patriarch from Lebanon 30 years earlier was provoked by one of his bishops in the Church this year. Influenced by the bishops from Australia and Lebanon, Mar Dinkha agreed to sign a document accusing Mar Bawai Soro of challenging the authority of His Holiness. This behavior is meant to nullify the support in the diaspora for Mr. Yonadam Kanna and his “Chaldo-Assyrian” policy in Iraq, just a few weeks before the elections on December 15. Over twenty million dollars will be spent region to build a patriarchal complex in Ankawa, near Arbil, and 30 other parishes throughout the Kurdish region. With the return of the Patriarch, it is expected that a large number of Assyrians from the diaspora, and the refugee camps will return to “Assyria” following their patriarch. The AUA will once again establish itself as a powerhouse of the Assyrian politics by opening offices in Iraq. It already enjoys a close relationship with the government in Tehran through its representative, Mr. Yonatan Bet-Kolia, who is also the “Assyrian and Chaldean” representative in the Iranian Parliament or Majlis. With the possibility of the Church of the East splitting once again, the sinister bishops in Australia and Lebanon eyeing the future patriarchal seat in Iraq and the dioceses in North America, and the disenfranchisement of the Assyrian, Chaldean, and Syriac masses in the diaspora, the AUA, ADM, and the Patriarchs in the future Iraq will have plenty to mull over in the next few years. In the meantime the ingenious plan devised four decades ago by the young rebels in Tehran is finally paying off for its planners. Date error corrected: The text of the editorial has been corrected to indicate that Mar Shimmun Ishaya arrived in the U.S. in 1940's, not in 1930's as noted before. (ZNDA: Baghdad) Nabil Shamoon, 48, was killed this week in a suicide bombing inside an restaurant in Baghdad. The impoverished Assyrian man, a father of seven, eked out a living selling cigarettes and lemons from a sidewalk stand just outside the Qadori restaurant. Patrons would buy his cigarettes and squeeze the lemons over their food. He was not inside the restaurant when the bombs went off. When the blast hit, a ball bearing or piece of shrapnel struck the back of his head, Shamoon's three sons recounted hours later after police had left the scene. Rimon, 15, had heard the blast from the print shop where he was working a few hundred yards away and ran up to a scene of utter devastation, with his father lying on the ground. 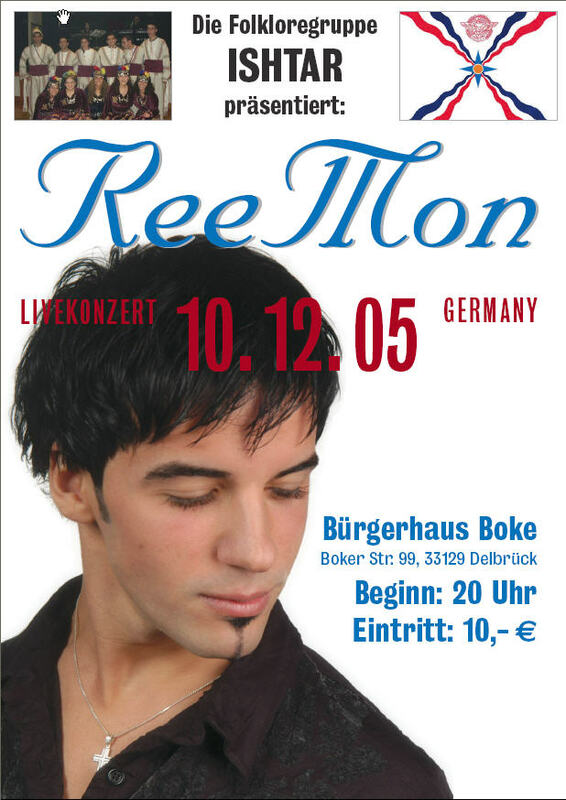 "We took him to a hospital in a Kia minibus, the one wound in his head bleeding heavily," Rimon said. "I just wanted to stop the bleeding. Upon our arrival, I shouted at doctors, and I made eight doctors gather around his bed…. He died in front of my eyes." Another son, Revon, 17, who was in school when the blast occurred, said the restaurant owner had been tipped off by police that the establishment was on a hit list that had been found on a captured would-be insurgent, but he had refused to shut down. "He cared more for money than for his safety," Revon said. The blast happened at 9:45 a.m. and the police who had come late were debating whether they had time to stand in line before duty for hishreeb bagila, a bread-and-beans breakfast, at Qadori restaurant. Moments later, one or two explosions — witnesses disagreed — ripped through the crowded greasy spoon on the bank of the Tigris River, hitting customers with a maelstrom of glass and debris and sending tables and chairs into the air. An American soldier investigates the ruins of a Baghdad restaurant where a suicide bomber blew himself up Thursday, killing at least 33 people. Iraqi police said at least 33 people were killed and 24 were injured, 19 of them seriously. In the grim calculus of daily attacks in Baghdad, hitting the iconic mornings-only restaurant popular with workers, merchants, poor students and police appeared to be a way for the terrorists to say even the most ordinary of habits in this capital is not safe. 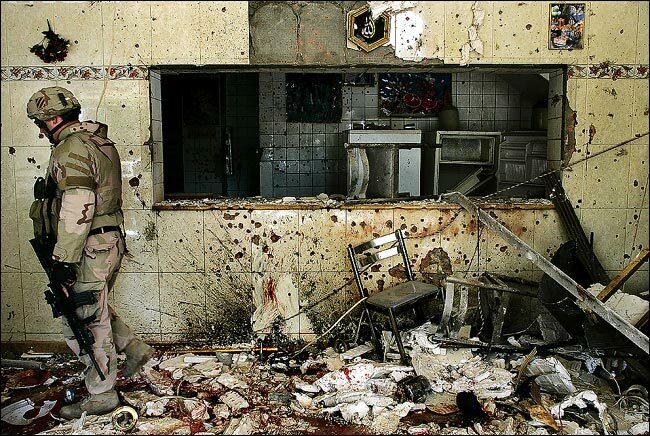 There was no doubt that an attack on the restaurant would kill officers of the new Iraqi security services. But it was also bound to harm ordinary Baghdadis, those who ply their modest trades in the print shops and home furnishing stores between the Tigris and Saadoun Street. Police Maj. Abdel-Hussein Minsef said seven police officers and 26 civilians were killed in the blast, and 20 civilians were among the injured. The attack came on the heels of blasts Wednesday at three hotels in neighboring Jordan. In all, Al Qaeda in Iraq, a group led by Jordanian-born militant Abu Musab Zarqawi, had claimed responsibility in Internet statements for killing nearly 100 people in a 12-hour spree of suicide and car bombings in two countries. Aswan Mohammed, 35, who survived the attack on the restaurant, said he was giving his 18-year-old son, Haider, a hug just before the explosion. He said the blast tore the glass and brick apart, and patrons trampled one another as they ran for the exit. Later in Al Kindi Hospital, Aswan Mohammed sat on a bloodstained bed, stone-faced, bare-chested and bandaged, as other men were being treated for their wounds. His eyes were filled with blood and tears. Next door, in a bare room, his dead son Haider lay wrapped in a bloody sheath. Nearby, a man gently folded a flowery bedspread tighter around another body lying on a slab, as if tucking a child into bed. At the hospital, one of the capital's main trauma centers to which many of the victims were taken, a policeman with a bandage above his right eye said he and his colleagues had been running late, and had been standing outside discussing whether they had time to run in for a bite. "If we'd gone into the restaurant, we'd be dead by now," he said. "Whenever we are on duty that is where we go to eat. We did not anticipate that anything would happen." Pieces of flesh still lay on the ground along with other debris: bricks, glass, bent tables and chairs, and metal water pitchers perforated by the ball bearings or nuts and bolts that had evidently been in the bomb. Adnan Ahmad Kadhim, 52, a guard in a nearby building, said he had taken his customary plate of breakfast from the restaurant, consumed it at his post and had walked back to return his plate. As he walked away, he said, he heard and felt the blast. Among the scenes etched in his mind, he said, was a wounded waiter who stumbled out, trying to get away. He got as far as the next corner, turned up the street toward Kadhim's workplace and then fell dead next to a sedan. As Rimon, Revon and the third brother Arkan stood on the sidewalk where their father was mortally wounded earlier in the day, neighbors came up to them one after another with condolences. "Al Baqiya bi Hayatak," they said. "May God give the rest of his years to you." "All who died here were martyrs," Rimon said. "They will go to paradise, because they are innocent people." Members of several different Assyrian and Chaldean churches in California, holding banners of "We Love You", gathered at San Jose International Airport to welcome Bar Bawai Soro to his Diocese in San Jose. (ZNDA: Chicago) On Friday, 11 November 2005, 12 noon Chicago time, there was a shattering of the Assyrian Church of the East as we know it. The moral standards displayed by the Metropolitans and the bishops of the Church were contested by His Grace Mar Bawai Soro, bishop of the Western U.S. diocese when he chose not to respond to a letter signed by the bishops attending the Holy Synod in Chicago this month. To be suspended for two full years, relieved of all his bishopric duties with further restrictions including inability to correspond with other Churches, attending meetings and conferences, and communicating with any sources of media. Mar Bawai Soro, who is expected to announce his decision during the Sunday Mass at his cathedral in San Jose tomorrow, has rejected the decision of the bishops on the basis of the graver violations of other bishops whose digressions were overlooked by the Patriarch. Mar Bawai Soro speaks to an audience at the Wyndham Hotel in San Jose shortly after arriving from Chicago. It is not known what the future holds for the St. Joseph’s Cathedral and parish in San Jose as Mar Meelis Zaia and Mar Gewargis Sliva, bishops of Australia and Iraq respectively, are expected to arrive in San Jose and take over the properties of the Church from Mar Bawai Soro and his followers. 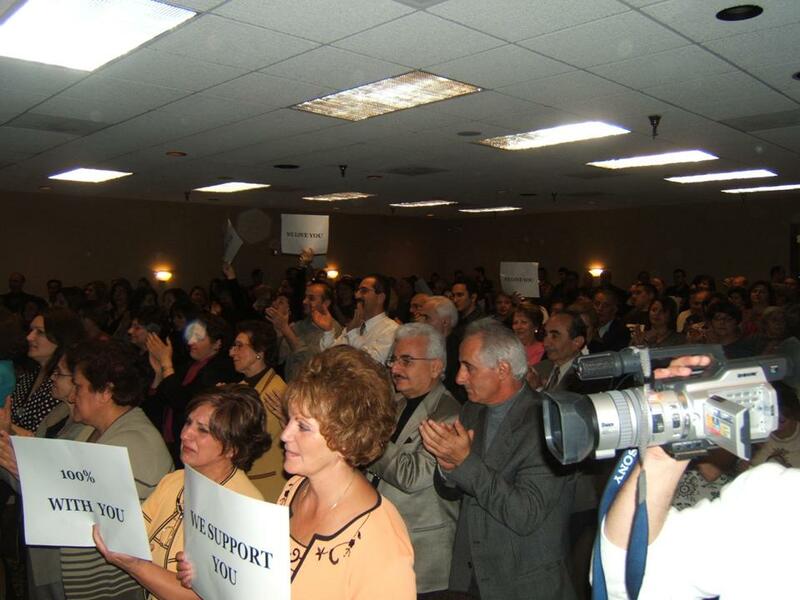 One parishioner in San Jose who wished to remain unidentified told Zinda Magazine that he takes the decision of the Holy Synod as offensive to the Assyrians from Iran, since the leadership of the Church in Tehran is now considered an act of punishment. Others commented that the highly charged situation in San Jose is not necessary and a bishop is being rebuked because of the political issues tied to the activities in Iraq and outside of the Church’s jurisdiction. 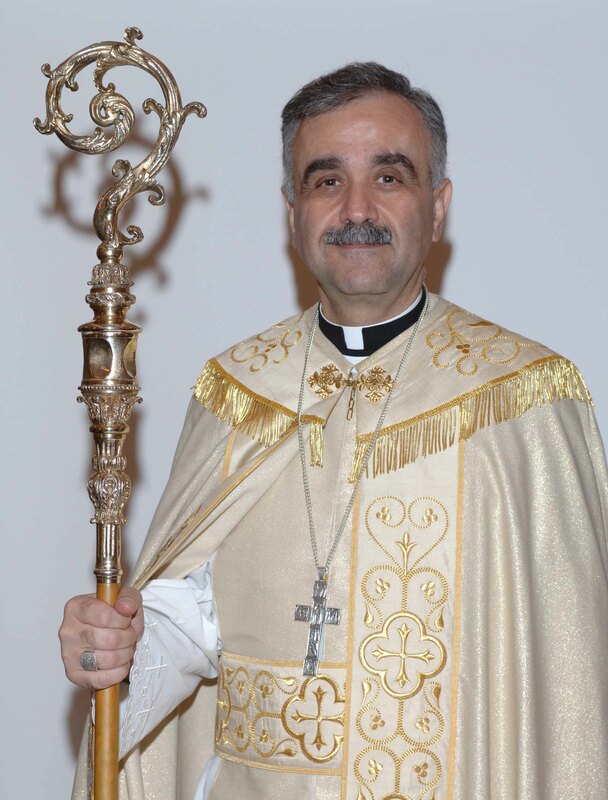 In his response to the Patriarch, Mar Bawai Soro notes the adulterous act of another bishop, namely Mar Aprim Khamis (click here), which was delicately handled by the Church and the actions of Mar Meelis Zaia in Australia (click here) resulting in the financial harms to the Assyrian community in Australia, which are yet to be reviewed by His Holiness. Mar Bawai also points to the fact the Mar Gewargis in Iraq in 1993 refused the orders of His Holiness to initiate the process of engaging the two branches of the Assyrian Church of the East toward the final unity. On Friday evening, an enthusiastic crown of nearly 300 parishioners welcomed Bishop Mar Bawai Soro at the Minetta San Jose International Airport on his return from Chicago. Some observers commented to Zinda Magazine that the bishops’ decision will soon result in the structural disengagement of the Church in the Diaspora and evolve over time with entire dioceses realigning and affiliating with one another. A legal action against Mar Bawai Soro for the return of the properties in California to the Church of the East is expected. (ZNDA: Vatican) The final version of the reformed liturgy of the Chaldean Catholic Church was presented to the Pope yesterday. The Holy Father also received all the Chaldean bishops who are currently taking part in their Church’s special synod that began on November 8 in Rome. This synod comes seven months after the last one that took place in a Baghdad. Its focus was almost exclusively on the liturgy and private law, overshadowing more political issues that some bishops had highlighted in the period leading up to it. Mgr Rabban al-Qas, Bishop of Amadiyah (northern Iraq), also took part in the sessions. He confirmed this version of the events. “At the beginning of each session, we spoke a little of the situation in our country, but the issue that took most of our attention was religious, not political,” he said. “We are working on reforming the mass, and then we’ll propose a new liturgy for feast and week days. Once the Vatican approves it, it will be implemented on a trial basis for three years in various dioceses,” he explained. A source involved in the synod said that the proposed changes “aim to maintain the tradition whilst introducing modern elements for pastoral purposes”. Mass will have a “more organic structure” preserving changes made over the centuries, and adding new words to some moments like the anaphor. “With the Vatican’s green light, the new mass will be gradually explained to the faithful and priests. A trial period will then begin at the parish level and the process will end with a new synod vetting whatever problems that may emerge and deciding a definitive version,” the same source said. From what Bishop al-Qas’s said, it would appear that some of the issues that seemed urgent to some bishops before the synod had to take the back seat. In a recent interview with AsiaNews, Mgr Louis Sako, Archbishop of Kirkuk, had stressed the need to discuss at a synod level how the Church might take courage and propose a direct line of communication with the government, how it might deal with Christian emigration, and how it can cope with the “growing proselytizing activities of Evangelical Churches in Iraq”. Chaldean Patriarch Emmanuel III Delly spoke on relations between Christians and the government, saying that they were good. “The fact that the President [Jalal Talabani] came here to see his Christian compatriots is proof of that. We are one people and must not be divided by confessional labels,” the Patriarch said. Still, as Christmas approaches threats to the security of the Christian community increase. December 7 of last year two bomb attacks were carried out against two Chaldean churches in Mosul. (ZNDA: Vatican) Iraqi President Jalal Talabani met with Pope Benedict XVI on Thursday and pledged to guarantee the rights of religious minorities amid concern that Iraq's proposed constitution institutionalizes Islamic law. "I explained to his holiness that the Iraqi constitution will consider all Iraqis -- Christians included -- equal and will respect all religions," Talabani said at a news conference after the meeting. "All kinds of freedoms will be guaranteed for all," he added without going into detail. Religious freedom in Iraq has been a top concern for Vatican officials following the recent approval of Iraq's draft constitution, which regards Islam as Iraq's official religion and "a fundamental source of legislation." Iraqi Christians represent about 3 percent of Iraq's population with 800,000 faithful, most of whom belong to the Eastern-rite Chaldean Church, which is in communion with Rome. More than a dozen Chaldean bishops are currently in Rome conducting a synod expected to advise the pope on Christianity in Iraq. Talabani said his 20-minute private meeting with Benedict centered on Iraqi democracy and quoted the pope as saying the constitution represented "progress" in Iraq. According to a draft of the constitution that was approved during an October referendum, Iraq guarantees "the full religious rights of all individuals to freedom of religious belief and practice." But the document also calls for judges and experts in "Islamic jurisprudence" to sit on Iraq's high court -- a clause that many critics regard as an opening to place Islamic clerics in control of Iraqi law. "It's very dangerous to say that (Iraqi law) must be compatible with Islamic law," said Chaldean Archbishop Louis Sako of Kirkuk, in Iraq, who joined Talabani at the conference. "Either Islam or democracy. You have to choose," Sako added. Muslim countries that base their legal systems on the Shariah, or Islamic law, often outlaw the converting of Muslim citizens to other religions. Some interpretations of the Quran suggest if such converts refuse an opportunity to recant, they should be put to death. According to Dhimmi law, an Islamic code that applies to Jews and Christians, non-Muslims are allowed to practice their faith but are still subject to Islamic rule. The tension often occurs when Christians act on biblical commands to spread the gospel, and share their faith with Muslims. The Vatican did not release a statement after the meeting, which took place with strict security measures that shut down traffic along the Via della Conciliazione, the main conduit into Vatican City. The Vatican was an outspoken critic of the war in Iraq under Benedict's predecessor, John Paul II. Following a meeting with Italian Prime Minister Silvio Berlusconi on Tuesday, Talabani said, "War is not the best way, but it was the only way to topple Saddam Hussein." Vatican Secretary of State Cardinal Angelo Sodano sent a telegram to King Abdullah II of Jordan on Thursday, expressing the pope's condemnation of the triple bombings that killed up to 59 people in Amman, Jordan, Wednesday. Sodano said Benedict was "deeply saddened" by the attacks, which he described as "cruel acts of violence and disrespect for law and human life." The terrorist group Al-Qaida in Iraq issued a statement that claimed responsibility for the bombings. (ZNDA: Washington) The walls are bare and the congregation sits in chairs instead of pews, but for the members of St. Aphraim's Syriac Orthodox Church in Alexandria, northern Virginia, the important parts are there — stained glass windows, the gold-domed altar and the people. At a St. Aphraim's service Sunday, Nov. 6, the small church was filled with sound as the nearly 50 congregants sang hymns and prayers in a language as old, they said, as Jesus Christ. Switching back and forth between Aramaic, English and Arabic, the congregants celebrated one of the first services ever at a metropolitan D.C.-area Syriac Orthodox church. Some had come from as far as Baltimore or Richmond to get to their new house of worship. For Burke resident and St. Aphraim's member Simon Shammas, however, driving in the car for a few hours is worth having a place to worship. In the Washington D.C. area, about 150 families worship in the ancient religion, whose members started out in Turkey and migrated all over the world. But up until four weeks ago, they had no church in which to worship. “When we had to go to other churches, we felt welcome, but we didn’t have our own,” said Shammas. 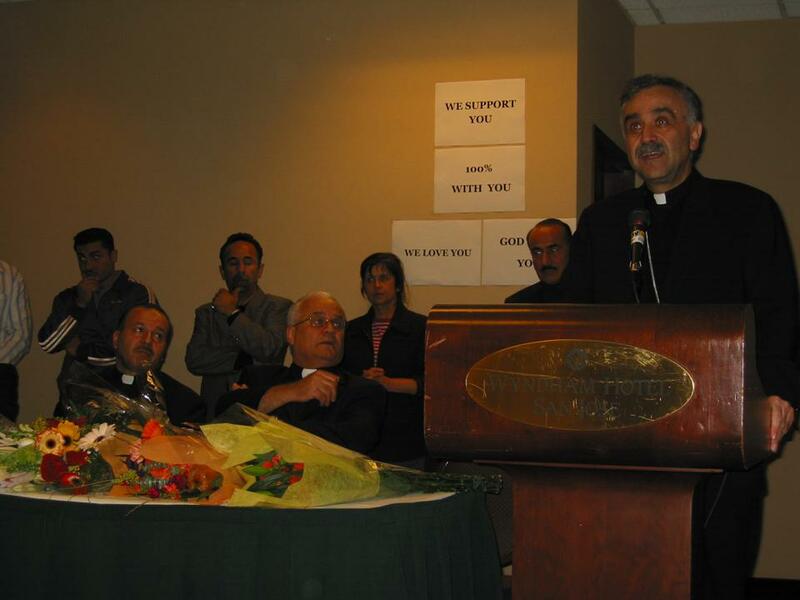 The D.C. Syriac community often organized services at Catholic, Greek Orthodox or Coptic churches, but these were often scheduled around the other churches’ services, he said, at odd hours of the afternoon or evening. St. Aphraim’s changed all that. "Once we know that we have our own church, it makes it a little better," said Shammas. "We are proud of our new church." Syrian Orthodoxy is, according to its members, the most ancient of all Eastern Orthodox religions. Its members are concentrated in Middle Eastern countries but can be found across Europe and the Americas. Forty Syriac Orthodox churches are located in the United States. As far as belief is concerned, said Shammas, Catholicism and the Eastern Orthodox religions are similar to Syriac Orthodoxy. But the traditions in the Syriac Orthodox service have roots from the days of Jesus Christ, said Shammas, such as a special round bell, shaken by the altar server at intervals throughout the Mass, the liturgy itself, and most profoundly, the language. Syriac Orthodox masses are celebrated in Aramaic, the same language said to have been used by Jesus Christ. Although Aramaic is a rare language, said Simon Shammas, many people still speak it fluently at home, he said. "A lot of the congregation reads and writes [Aramaic]. Some know things by heart," said Shammas. "My parents spoke Aramaic in the house every day." According to congregant Jamil Namman, it has been two and a half years since Syriac Orthodox community members first started planning for a church they could call their own. Progress was slow for a while, said Namman, but the members of the Syriac Orthodox community worked together, donating decorations, supplies and hours of free time to make the church look the way it does. "Everyone helped," said Namman. "Everyone pitched in a little. It's not some huge cathedral, but everyone helped out." It took a while to make the former Baptist church, located off Indian River Run, look like a Syriac Orthodox church, said Fred Shammas, Simon's brother and deacon at St. Aphraim's. As in the other Eastern Orthodox religions, Syriac Orthodox churches use icons rather than statues to decorate the walls of their holy space; at St. Aphraim's, stained glass windows depict St. Aphraim, the Virgin Mary, and scenes from the life of Jesus. The only window left that is not a stained-glass picture is a large triangular one above the church's main doorway. After seeing the success of the community and the church, said Father Eli Shabo, the archbishop offered to donate the money for a new window. "We believe in God, that God will provide," said Shabo, who travels from New Jersey every other weekend to celebrate Mass for the D.C.-area Syriac Orthodox community. "People want to pray in the capital of the United States." Even when no church existed to speak of, community members still got together for services. "That is the one thing about the Syriac Orthodox community," said Namman. "Whatever means we have, we always try to establish a small church so that God can be with us." "[Members of the Syriac Orthodox religion] like to live around each other, like any other community," said Simon Shammas. "Having our own church is going to bring a lot of other people to the area." For Rita Mallouh, who comes from Baltimore with her father Chris, a deacon, the Syriac Orthodox community is like "a second home." "I like it because it's our own church," she said. "We eat here. We have barbecues." Malek Masoud, who comes to St. Aphraim's from Rockville, Md. with his wife Lisa and son Spencer, agreed. "It's a small community, and everyone is scattered," he said. "having something to come to every week is really special." (ZNDA: Los Angeles) Only in Los Angeles can you drive to an Assyrian palace to buy blue jeans and leather goods. 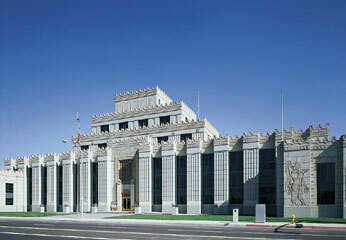 The Citadel Outlets, Los Angeles' first factory outlet center, has the distinct honor to be located behind the famous Assyrian Castle wall and building, which once served as a backdrop in the movie Ben Hur. The Citadel opened in November 1990 as a mixed-use project which includes a retail outlet center, a food court, five office buildings, and a 201-room Wyndham Hotel. footage from 147,000 to 275,000. The grand re-opening celebration kick off on November 12 featured a holiday performance by two time Grammy-Award winner Jon Secada, the first tree lighting celebration in Southern California at 5:30 p.m., and a weekend of holiday activities for all Los Angeles residents. As part of its expansion, in May of this year Citadel Outlets transformed the exterior of its iconic castle walls with the installation of four double-sided, high-tech LED (Light Emitting Diode) screens. The screens project high-impact, high-definition images and messages daily from 5:00 am to 11:00 p.m., reaching millions of commuters traveling on Interstate 5 through Los Angeles each month. Atop each screen sits a "lamassu," a winged bull, that some believed to be a spiritual being with the head of a human, the body and ears of a bull, and the wings of an angel or bird. In Assyrian times the lamassu were placed on each side of palace entrances to guard against evil spirits. 7th Century B.C. ancient Assyrian palace including a 1,350-foot-long (later expanded to 1,750) crenulated concrete wall decorated with heraldic lamassus and bas-reliefs of Babylonian princes carved into the stone between impressive pillars and towers. This Assyrian landmark had the distinct honor of serving as a backdrop in the Academy Award-Winning movie, Ben Hur. 1918: Adolph Schleicher started his Samson Tire and Rubber Company in a tiny wood-frame factory in Compton, choosing "Samson" because it symbolized strength and endurance. January 1928: Adolph Schleicher, owner of Samson Tire and Rubber Company, embarked on development of a new factory in East Los Angeles -- one that would become the largest manufacturing facility under one roof west of the Mississippi. Schleicher wanted to include a Samson and Delilah motif. Thus the plant was modeled after a 7th Century B.C. ancient Assyrian palace including a 1,350-foot-long (later expanded to 1,750) crenulated concrete wall decorated with heraldic griffins and bas-reliefs of Babylonian princes carved into the stone between impressive pillars and towers. The design, dedicated to the civilizations of Sumer, Akkad and Babylon, conveys strength and style. January 23, 1929: Ground broke for the $8 million Samson Tire and Rubber Company plant, the largest tire manufacturing facility on the West Coast (attended by 12,000 people). At the behest of Schleicher, the original architects (Morgan, Walls and Clements) designed the wall in the style of King Sargon II's palace. Sargon was a Babylonian King with a 23-acre palace and Schleicher's plant, coincidentally or by design, covered the same amount of land. The portion of the wall that fronts the office building features genii, winged guardian figures protecting individuals from evil. The plant entrance featured another form of genii -- winged bulls with human heads -- also intended to guard the interior as those on Sargon's palace. May, 1930: Samson Tire and Rubber Company plant opens with no public ceremony and with capacity to produce 6,000 tires and 10,000 tubes a day. January, 1931: US Tire and Rubber Company purchases and takes over the newly completed Samson Tire Company. September, 1960: Adolph Schleicher, owner of Samson Tire and Rubber Company dies. 1962: US Tire and Rubber Company becomes Uniroyal Tire. Please tell Miss beauty contest, Ramona Amiri, that the Garden of Eden was in south of Iraq (Mesopotamia) and it has never been in Iran... This is mentioned in the Bible that it was in Iraq and not in Iran. (ZNDA: Sydney) The television program "Everyone Loves a Wedding" produced by the Australian television is an engaging new documentary series which explores how 16 culturally diverse couples cope with their ‘big day’ and the natural drama that surrounds such an event. Jan & Anita's wedding will showcase on Australian TV on 17 November. Everyone Loves a Wedding explores what weddings are really like in Australia today – where wedding customs are as mixed as our cultural makeup. Episode 8 is titled "Jan and Anita / Salamatu and Ibrahim" which will air on Wednesday, 17 November at 5.30 p.m.
Jan and Anita are Assyrians from Baghdad, Iraq. To avoid the turmoil of war, both families moved to Australia independently but became firm friends, allowing ‘first love’ between Jan and Anita to blossom. 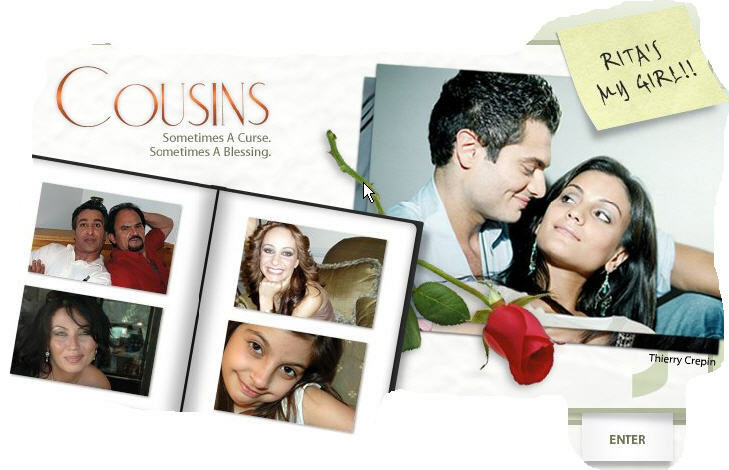 When it comes to weddings, Assyrians are renowned for celebrating their traditions. Aussie suburbia has never before seen such a feast of colour and noise as the groom’s party parade to the bride’s house in order to pay respects (and quite a bundle of money) to the family of the bride. And, no wedding is the same without tears. Anita’s mother becomes quite nostalgic when faced with the prospect of losing a daughter, even though she is only moving around the corner! At no other time are cultural traditions celebrated with such passion as at a wedding. While a wedding is a milestone for the bride and groom, it also provides a context in which their families and communities can share in the celebrations. Red-brick houses in Aussie suburbia provide the backdrop for a rich mix of multicultural rituals and colourful tradition. It's a highly charged, emotional ride of from tension to elation. Everyone Loves a Wedding was commissioned by SBS Independent and developed in association with Australian Film Television and Radio School. The holiday season is just around the corner and our annual holiday sale is on now. Here is your chance to purchase items on your wish list with a 20% discount by entering coupon code GPS-HS-05-2 during the checkout process. Simply add all desired items into the shopping cart and copy-and-paste the code into the entry box. Then click Update Prices to receive the discount which will be reflected in the subtotal only. Refer to our online and print catalogs for gift ideas in the Collectors and Bestsellers sections. (ZNDA: Barcelona) On 27 October the first International Congress of Islamic Feminism opened in the Spanish city of Barcelona. The three-day event brought together institutions, NGOs, intellectuals and academics from within the Islamic world to discuss the "jihad of the sexes". The congress was organised by the Islamic Spanish Junta to give voice to the Muslim women's movements that gained momentum over the past century to try to overcome a "patriarchal interpretation" of the scriptures. In the words of one of the promoters, a man, Abdbennur Prado, head of the Catalonian Islamic Board, the conference discussed "the struggle against the chauvinist, homophobic and sexist interpretation of the sacred texts in the Islamic context". Many Muslim women challenge the notion that westernisation is the only way to achieve their woman's liberation, arguing that achieving equal rights and emancipation is possible within the framework of Islam. Crucial to the movement is the belief that there has been a degradation in the legal tradition of Islam and a distortion of the sacred texts, resulting in patriarchal structures and sexist laws in many Muslim nations. Participants include Amina Wadud, the first woman 'imam' in the history of modern Islam - she led a Friday prayers service in New York in March attracting the attention of the global media and incurring the wrath of fundamentalists; Malaysia's Zainah Anwar, the charismatic leader of the Sisters in Islam, and UNESCO representative, Assyrian-Iranian Valentine Moghadam. 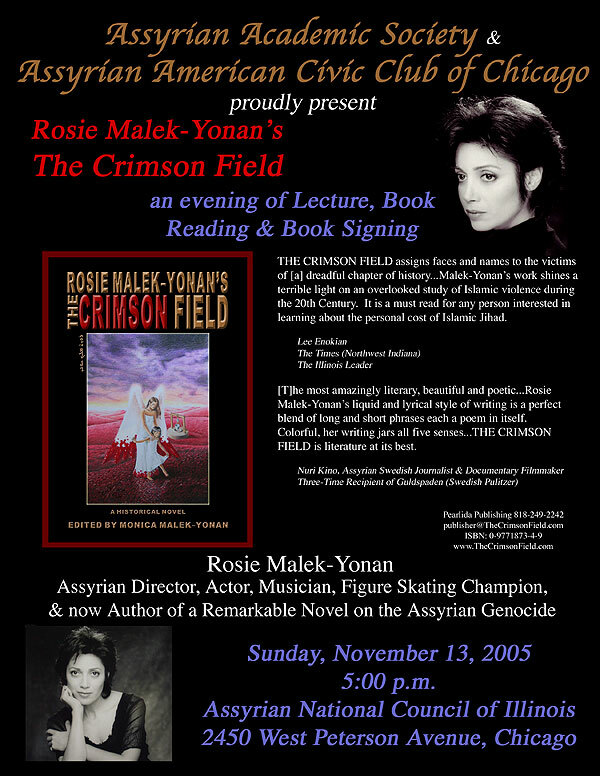 Dr. Valentine M. Moghadam joined UNESCO in May 2004. Until June 2005 she was Director of Women's Studies and Professor of Sociology at Illinois State University. 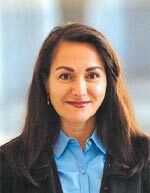 Born in Tehran, Iran, Dr. Moghadam received her higher education in Canada and the U.S. After obtaining her Ph.D. in sociology from the American University in Washington, D.C. in 1986, she taught the sociology of development and women in development at New York University. From 1990 through 1995 she was Senior Researcher and Coordinator of the Research Program on Women and Development at the WIDER Institute of the United Nations University (UNU/WIDER), and was based in Helsinki, Finland. She was a member of the UNU delegation to the World Summit on Social Development (Copenhagen, March 1995), and the Fourth World Conference on Women (in Beijing in September 1995). Dr. Moghadam is author of Modernizing Women: Gender and Social Change in the Middle East (first published 1993; updated second edition 2003), and Women, Work and Economic Reform in the Middle East and North Africa (1998). Her third book, Globalizing Women: Transnational Feminist Networks was published by The Johns Hopkins University Press in early 2005. Her edited book Identity Politics and Women: Cultural Reassertions and Feminisms in International Perspective (1994) was the first to examine fundamentalism comparatively and cross-culturally. 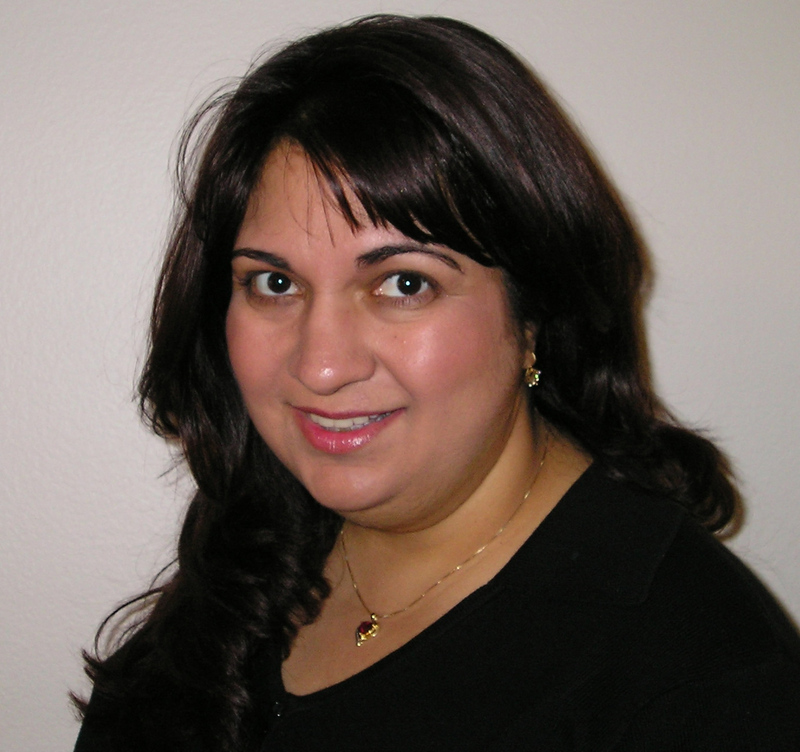 Dr. Moghadam's areas of research are globalization, transnational feminist networks, civil society and citizenship in the Middle East, and women in Afghanistan. She has lectured and published widely and has consulted with many international organizations. 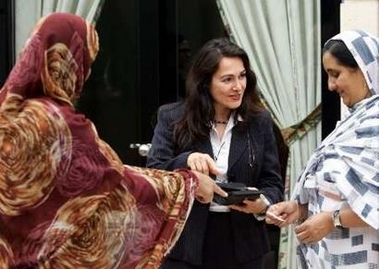 She is a contributor to a 2001 report, coordinated by CAWTAR and the UNDP, on the impact of globalization on women's economic conditions in the Arab world. She also prepared a background paper on Islam, culture, and women's rights in the Middle East for the UNDP's Human Development Report 2004; and she is co-editor, with Massoud Karshenas, of a forthcoming book on social policy in the Middle East, to be published by Palgrave in 2006. To many of the women I spoke with, their struggle to move Islam forward by reaching back to its past represents nothing short of a revolution. "This is a global struggle," says Valentine Moghadam. She sees the movement as an important response to "frustration with Islamic fundamentalism." And there is no doubt in my mind, either: The kind of ideology that willingly subjugates women can also foster hatred.